This card is another for the military drive my friend is doing. I colored the happy little fox with Copic markers and cut it out with the scalloped die. I then pulled out an old favorite patterned paper collection from long ago and created a design with it. Thanks for stopping by. I’m still embracing creating cards that are different from the Christmas cards that I concentrated on during the last month or two. It is fun to pull out some different supplies! For this I pulled some scraps together and used some pretty dies in my stash to create a simple card. This will be added to the box I’m putting together with cardmaking friends to send to a military unit (for the soldiers to send home to their friends and families). Thanks for stopping by. By the way, my new friend pictured to the right of my card was a Christmas gift. Is he cute or what?! He is such a good model that he may appear in more upcoming photos! Thanks, Rene’! This is a clean and simple card with a bright palette–a fresh look after holiday cards! I created the background using watercolors and blending them vertically. Once it was dry, I stamped the floral silhouette and sentiment onto the watercolored panel and added sequins for some visual interest. I layered the panel onto the subtle patterned paper and a matching card base. Very simple! Thanks for visiting. For this simple card, the main attraction is the orchid. This is such a beautiful stamp set from Flourishes! I stamped it and then went in with Zig Clean Color markers and a waterbrush to color the image. I added the sentiment, still keeping it simple and elegant. I layered the main image with a subtle patterned paper and a simple embossed white layer, then adhered the whole shebang onto pink cardstock. I made this card for a close friend who recently lost her husband. Thanks for visiting. I created this set of Artist’s Trading Cards (ATCs) for an upcoming exchange I’m participating in. A friend gave me the stamp set I used, which is the perfect size for trading cards! I started with the manila cardstock, which is the same stuff used for manila tags. I applied a layer of Old Paper Distress Ink with a foam applicator around the edges and then added the Walnut Stain Distress Ink and blended it into the other ink, around the very edges. I then spritzed some water on the craft mat and mopped up some water and Walnut Stain ink to make it look a little coffee-splotched–which is a technical term. I then stamped the seal in the center and added a coffee bean at each corner–all with the Delicata shimmery brown ink. I connected the beans with some freehand double-lines drawn in fine-line dark brown ink to pull the composition together. 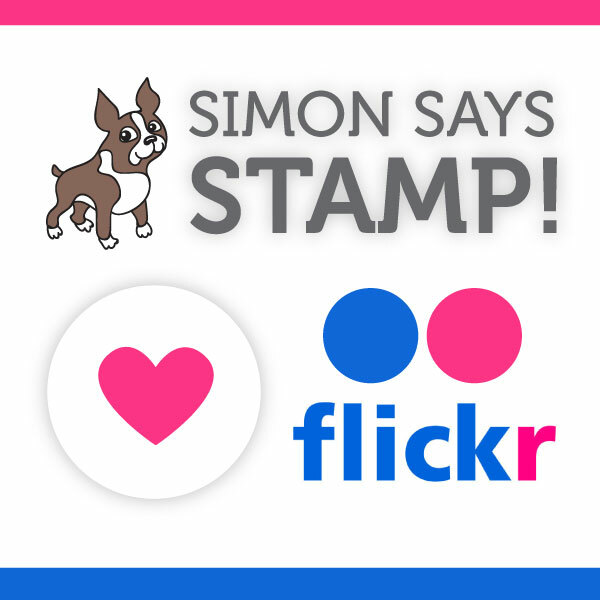 These cards are also very fitting for the Simon Says Stamp Wednesday Blog Anything Goes Challenge. I even showcased Technique Tuesday stamps! Thanks for visiting today. I colored this image with Sakura Glaze pens and added accent dots with a white gel pen. I created this card for a polka dot challenge, so I went a little crazy with the dotted cardstock and the border punch with lots of dots. We have columbines blooming around here in the summer, so I really like this image. Thanks for visiting.